Real Estate Market Facts: a quarterly report on the state of residential property markets in the capital cities and major regional centres throughout Australia. Residential Tenancies (Amendment) Act 2002 - All the recent amendments to the Residential Tenancies Act 1997 and the Victorian Civil and Administrative Tribunal Act 1998. Residential Tenancies Act 1997 - The Residential Tenancies Act 1997, all 533 sections worth. Consumer and Tenancy Advice Service - A site for consumers and tenants in north central Victoria, with offices in Shepparton, Wangaratta and Wodonga. Office of Housing - The Office of Housing's site has info on client services (including the Bond Loan Scheme for private tenants), property management, information and research (including rental reports, publications and forms), and events and media. Tenancy Services is a division of the Ministry of Housing. It has 21 dispute resolution offices throughout the country providing education, advice, Mediation and referrals to the Tenancy Tribunal; and a Tenancy Services Centre for the processing of all Tenancy Bonds. TerraNet - Land information, property title searches, valuations and sale history etc. New Zealand Property Investors Federation (NZPIF) - A resource for members of the NZPIF to provide information for property investors interested in joining a federation association. Auckland Property Investors Association - The NZPIF affiliated Association serving the Auckland area. Wellington Property Investors Association, formed in 1973, is an organisation of people who own or otherwise have an interest in residential, commercial, industrial, or other investment property. PropertyInvesting.com - Home of positive cash flow property investment! Somersoft Forum - Property investor discussion forums. 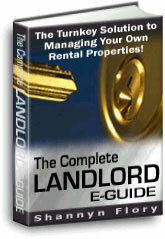 Landlords.co.nz - This is a fantastic site for discussions amongst property managers and landlords, with some very useful resources. PropertyTalk.co.nz - A web site with lots of information about NZ and the NZ property investment market, including a great forum. Aimed at overseas investors. Personal Reference NZ - Tenant checks and credit checks for your prospective tenants in New Zealand. HouseMouse - NZ Property investor discussion forum - highly recommended.